Are you ready for some good vibes? 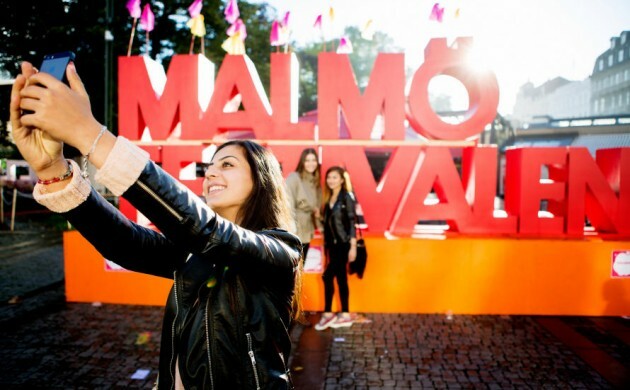 From August 14 Malmö is hosting its annual festival in the very heart of the city. They have been doing it since 1985 and every year it gets better. Considered as one of the largest festivals in Scandinavia, this event is all about music, culture, art and speakers, and what’s best is that it’s for free! There will be food stands of all types, sports, activities for children and concerts every day: from blues and opera to rock and DJs. The line-up includes Zara Larsson, Jungle, I’m KingFisher, Seinabo Sey, Little Dragon among others. Nobel Prize winner Muhammad Yunus will be holding an inspiring conversation at the Palladium stage on Tuesday August 18 at 17:00 with contemporary analyst Per Grankvist on the involvement in our common future and on our ability to create what we decide. Apart from dancing or getting philosophical, for those who prefer a good belly laugh, there will be comedy shows by comedians from Canada, the US, the UK, Ireland and Norway. Last but not least, for the children the Yomonstro workshops will take place every day, where they can create their own carnival masks. On August 21, a parade worthy of a South American carnival will be held featuring all the mask makers! Every year the festival gets about 1.4 million visitors. So what are you waiting for and join the party! Check the website for a detailed program.